The Public Health Laboratory provides clinical, environmental microbiology and chemistry laboratory services to all Marion County Public Health Department programs and other local health agencies. The lab also analyzes specimens from private citizens. OUR MISSION: We produce and share accurate and timely analytical data on personal and environmental health using cost-effective services. OUR VISION: We are vital, dependable and integral component of the public health team in Marion County, Indiana supporting the mission of the Marion County Public Health Department. 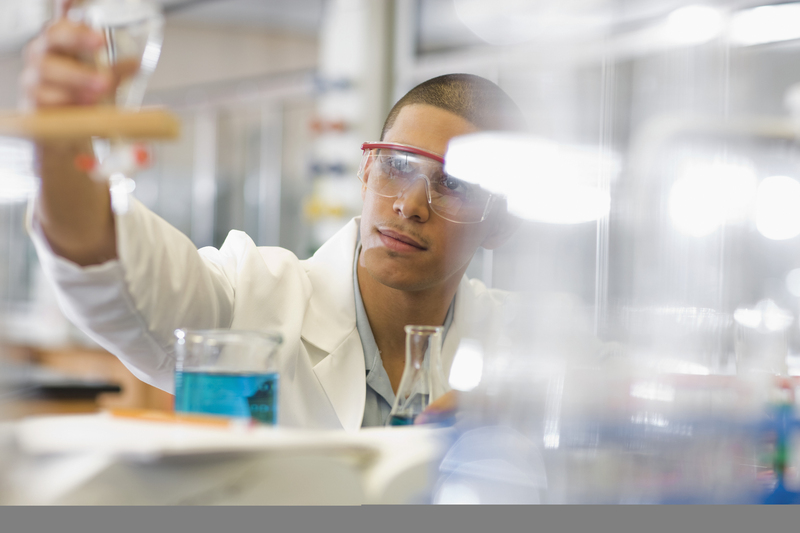 The Environmental Chemistry Laboratory provides testing services for the Departments of Water Quality & Hazardous Materials Management, Housing and Neighborhood Health and Food and Consumer Safety, which are all located within the Bureau of Environmental Health. This laboratory is certified by the Indiana State Department of Health for chemical analysis of drinking water (Certificate #C-49-04). The laboratory is also certified by the American Industrial Hygiene Association (AIHA) for the analysis of lead in soil, dust wipes, paint and for bulk asbestos analysis (Certification #100944). Tests are performed on the following: surface waters, ground/well waters, air monitoring and solid samples. The Environmental Microbiology Laboratory is certified by the American Industrial Hygiene Association (AIHA) to test for bacteriological analysis of foods (Certification #100944). This laboratory is also certified by the Indiana State Department of Health to test for bacteriological analysis of drinking water (Certificate #M-49-2). Water testing performed in this laboratory includes coliforms, E. coli and standard plate counts for such samples as well waters, swimming pools, surface water and city water**. * Please contact the Food Safety Department at 317.221.2222 for questions. 1.Where can I get bottles to collect my own well or city water samples to be tested? Please go to the Lab Service Room on the 1st Floor of the Marion County Public Health Department located on 3838 N. Rural St., Indianapolis, IN 46205. Business hours are Monday-Friday 8:00am – 5:00pm. You will need to pick up the bottles and Chain of Custody forms at this location. Payment (cash or check) for bottles is expected at this point. Then, you can collect your sample and return it back to the Lab Service Room within hours and hold times established in the collection instruction of the Chain of Custody form. 2.How can I get someone from the Marion County Public Health Department to collect a private well sample at my house? Please contact Water Quality at 317.221.2266. 3.What type of tests do you offer for water testing and how much? 4.Who can I talk to about my water test results and treatment? 5.How long does it take to receive results back for water testing? it can take 2-3 days to receive bacteria testing results and up to 14 days to receive chemical (anion/metal) testing results. 6.Do you offer garden soil testing and how much? Yes, we offer garden soil testing. It is $30 per Ziploc baggie/site. We test for arsenic, cadmium, chromium, lead, and pH. Results can take up to 14 days to receive. 7.How do I collect my water sample? 8.How do I collect my soil sample? 9.Do you have any information regarding why I should test my garden soil? 10.I need to submit my water for testing and the results need to go to IDEM. How does this process work? Please submit your sample along with an IDEM form (can be located in the Lab Service Room) and the Marion County Public Health Department Chain of Custody. Include your PWS ID# on the lab’s Chain of Custody and indicate that your results must be sent to IDEM. 11.What if I have questions about my city water service?